L’Eroica in Italy was one of the highlights of last year for team Coven, and for it to stand out amongst so many exceptional trips, it had to be pretty damn amazing. 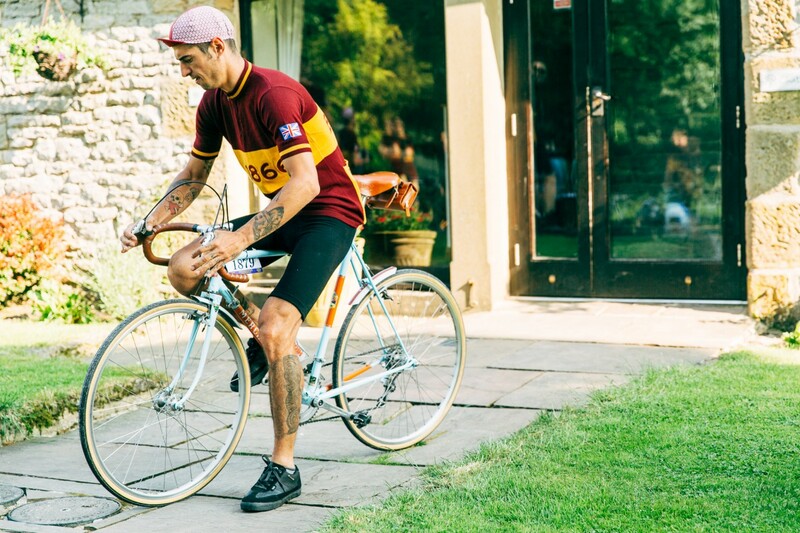 Set in the rolling hills of Tuscany, the event sees hundreds, nay, thousands of cyclists descent on the small village of Gaoile In Chianti for a weekend of vintage cycle love. 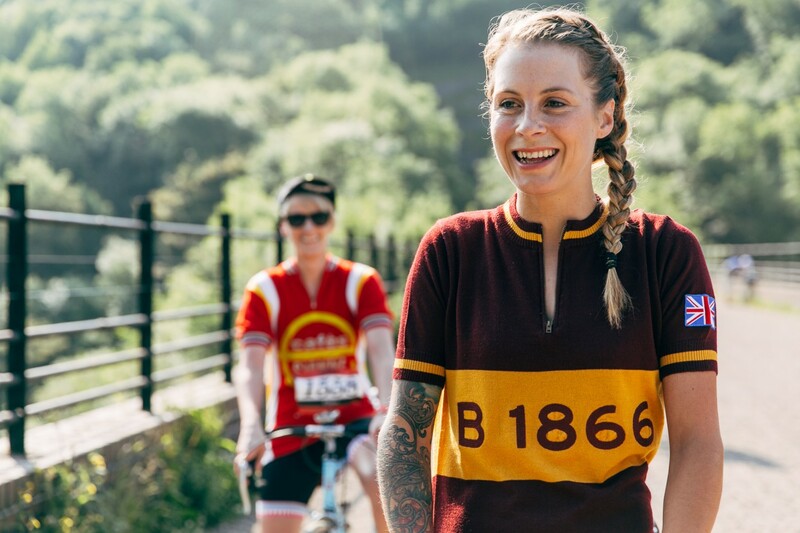 Saturday is dedicated to feasting, pottering around the vintage bike market and drinking plenty of wine, and the ride on Sunday means dressing up in woollen cycle kits and clambering astride a vintage clunker for a jaunt along Tuscany’s ‘strade blanche,’ or gravel roads. The atmosphere, the food, the landscape, the company, the castle we were staying in – everything was S U P E R B ! 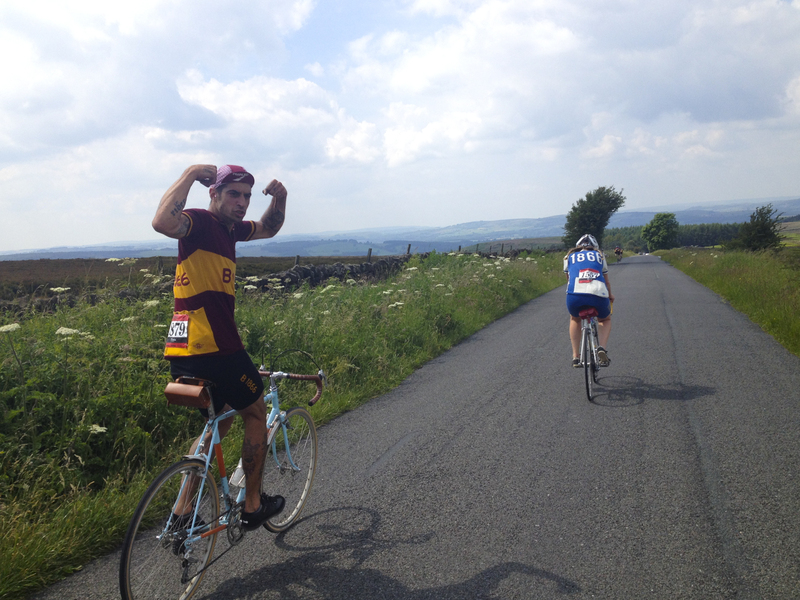 Whilst I was over there, I met a couple of Sheffield locals, who enthusiastically told me they wanted to recreate this fantastic event in the UK, launching Eroica Britannia in the Peak District in 2014. I was excited, but being British and naturally sceptical, I did wonder whether the event could possibly be as good as the original. But having just got back from the inaugural Eroica Britannia, I can happily report that they got it spot on, and yep, it was as good as the Italian version. Well done guys, you should be very proud! Once again, we were guests of Brooks, so I was really excited to see what outfits we’d be wearing this year. When we arrived we were given these rad maroon and yellow numbers which I was really stoked on. The bikes came courtesy of Glory Days, and thankfully were less death-trappy than the ones we’d ridden in Tuscany the year before, though mine had pretty insane gearing for hill-climbing. Vintage people must have been really tough. Eroica Britannia expanded on the vintage theme, so the start and finish of the ride was in a kind of ‘festival village,’ with music, heaps of food and drink stalls, bike and clothing retailers and the obligatory bike jumble. 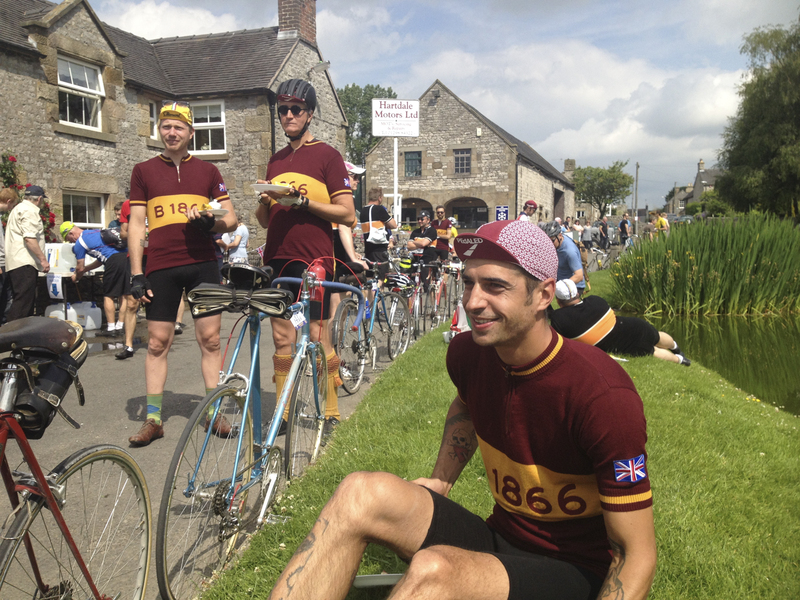 The atmosphere was great, and I’d say there were probably at least as many non-cyclists and there were participants in the ride itself, with children dancing around to the band, people lounging on haybales and more than the odd sunburnt chap merrily twiddling his moustache. We were joined in a bunting strewn Bakewell by the two winners of the Coven Magazine competition and we set off on the 55 mile course. The route itself was a genius bit of planning and really very similar to the route we rode in Italy. We rode along a lot of ‘Strade Bianche,’ that cut right across the hillside, as well the traffic free Monsal and Tissington Trails. There were hills aplenty, and thanks to our woollen garments and the unexpectedly glorious weather, we sweated just as much as we had in Italy! 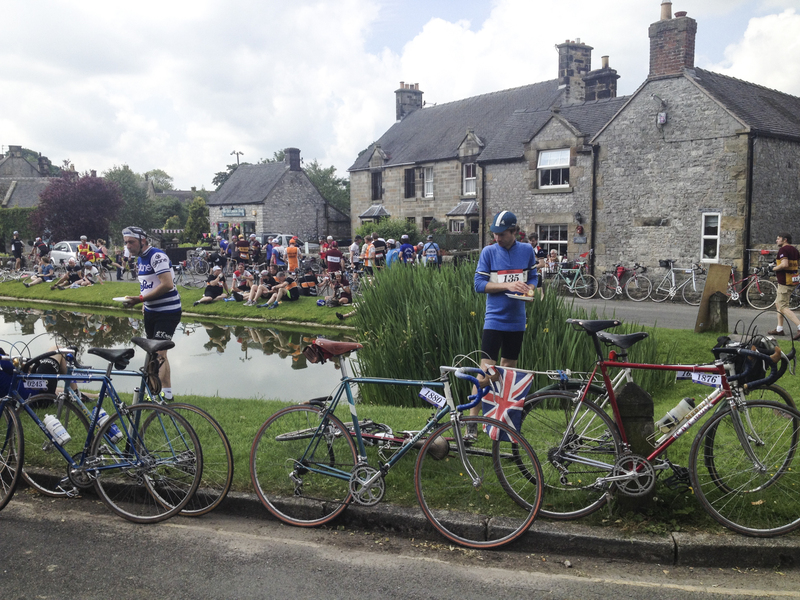 The first foodstop at Hartington was great – plenty to eat and people clustered around the duckpond on the village green. In keeping with the ethos of the original event, there was booze too – though it was local beer rather than local wine (thank god!). I grew up close to Bakewell, and without being biased, I’d say the scenery was just as good as in Tuscany. But on the other hand, as I grew up nearby, I did get more of a thrill from riding in Italy, just because I truly adore love the place! When it came to food, the organiser did a good job of tying the event in with local producers and celebrating regionally – the specially brewed Thornbridge Ale was great. My only little gripe would be that just like in the Italian ride, one of the food stops had no vegetarian food, which is a bit of a bummer when you’re starving, so I resorted to my usual trick of drinking too much instead, this time, Pimms! I’m waiting on getting some photos sorted as Dave and I had a bit of a problem with our camera (don’t ask…) so here are a few iPhone quickies. But as luck was have it, Mr John Prolly Watson was there, and he has some really dope pics up on the Radavist – go check ’em! A big thanks to Eroica Britannia and Brooks England for having myself and Dave along – we had such a blast – you guys rule.